Two Chicks On Books: Exclusive Cover Reveal- TRANSCENDENT by Lesley Livingston and aGiveaway!! 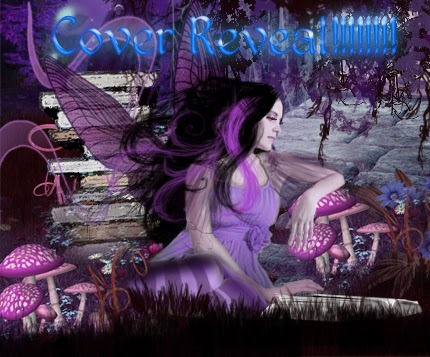 Exclusive Cover Reveal- TRANSCENDENT by Lesley Livingston and aGiveaway!! I am sooooooo excited!!!! 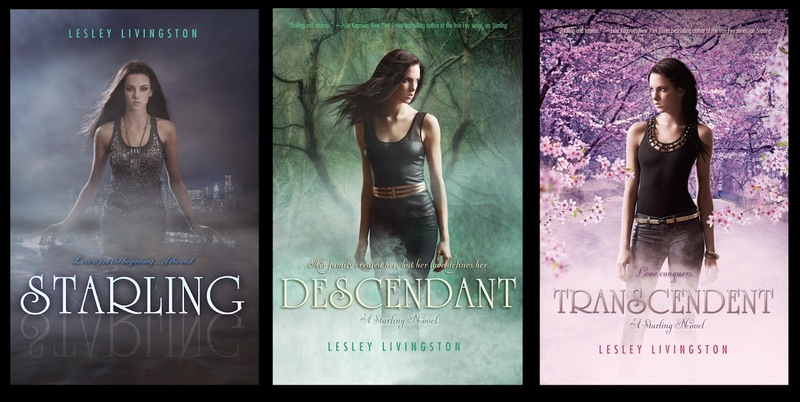 Today I get the EXCLUSIVE cover reveal for TRANSCENDENT, book 3 in The Starling Series, by Lesley Livingston releasing in August 2014 in Canada and December 2014 in the US! I adore this series and Fennrys and am dying to get my hands on this one myself! Check out the gorgeous cover, synopsis, and enter to win an ARC! 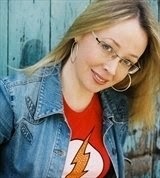 Julie Kagawa, New York Times Bestselling author of The Iron Fey series. Want to win your very own ARC of TRANSCENDENT? Enter the Rafflecopter. Good luck everyone! US and Canada Only. I like the background in this cover the best. Love it! Fits the series perfectly! It's lighter in colour than the other two (ominous? optimistic? I'm not sure...), but I appreciate that it still looks similar to the others. I love this series, although I have yet to read the second book. This third book will definitely give me the incentive to purchase and read the second book so I can read the third! I love the lighter color in comparison! The cover is amazing! The background is so pretty! I commented, but it doesn't seem to have shown up (maybe it has to be approved?) anyway I love Lesley Livingston's STARLING series! This is exciting. I'm looking forward to reading it. I really like the cover, too. I love these covers. I think they really capture the title of each one. That is one gorgeous cover. I love her expression! I own the first book on my Kindle, the second book in hardcover, so excited for the third book! 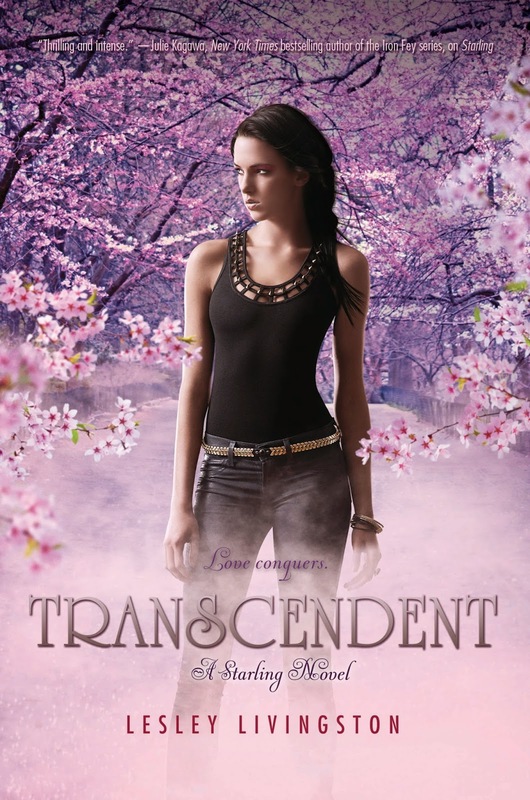 I love the cherry blossoms on the Transcendents cover. Such a great cover! It fits perfectly with the rest of the series. Can't wait to read it! It's so pretty! I love her shirt! It's fierce! Her expression is tastefully balanced between determined and pissed. I just discovered this series from your blog and now I need to know how it ends! really excited to see the conclusion of this series. and I LOVE the change in this new cover. they all look stunning next to each other, too. Congrats, Leslie! The cover is great and looks good with the rest of the trilogy! Love the cover. Thanks for chance to win. I'm going to ALA Annual in Vegas Squee!!! Fierce Reads Tour Stop Interview and a Giveaway!